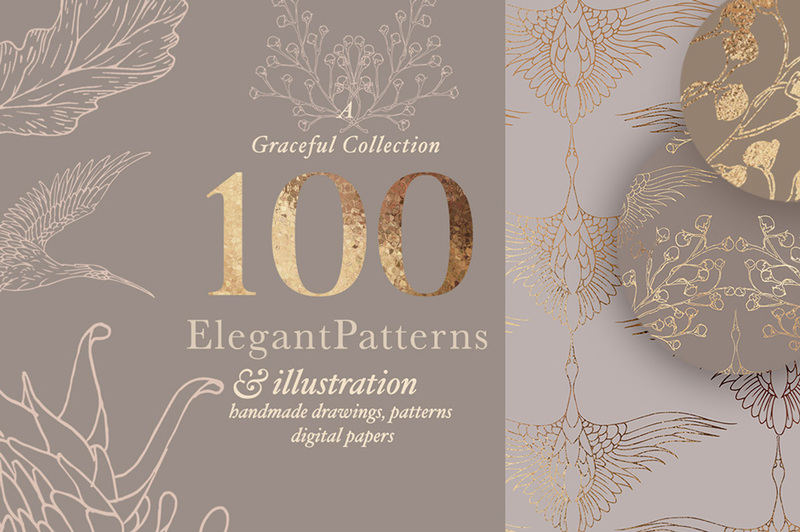 Introducing this whimsical and elegant set of patterns and illustrations – perfect for your logos, wedding invites, branding projects and everything else that could use a hint of wondrous glam! 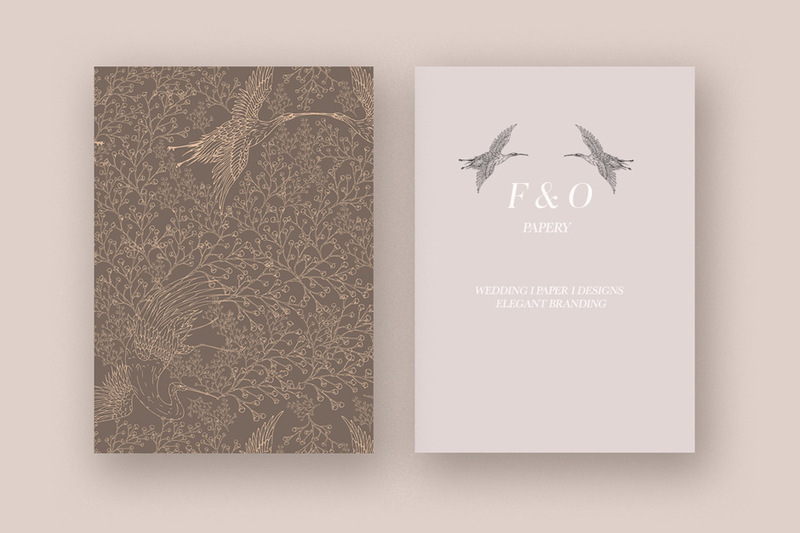 These fine, hand-drawn illustrations and matching patterns are perfect for wedding invites, stationery, cards, branding and so much more. 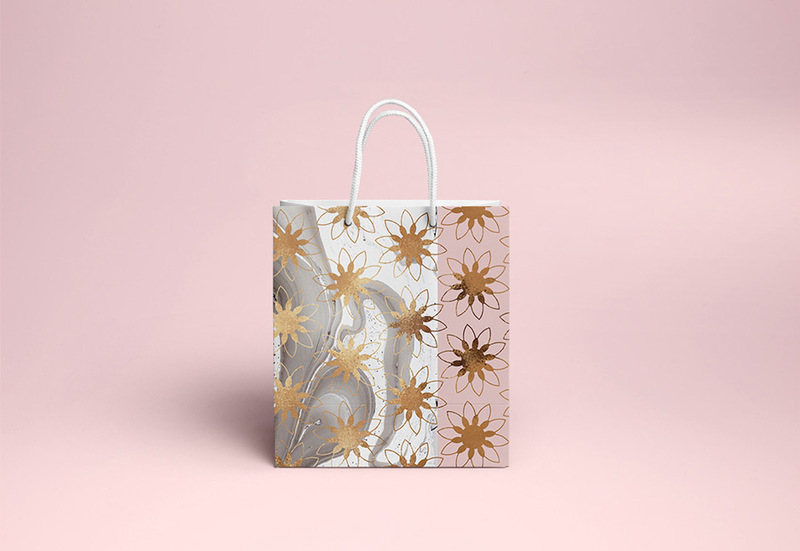 Delight your customers with a glamorous glow, on-trend designs, and an overall elegant look & feel, inspired by birds flying south and enchanted, dancing leaves. 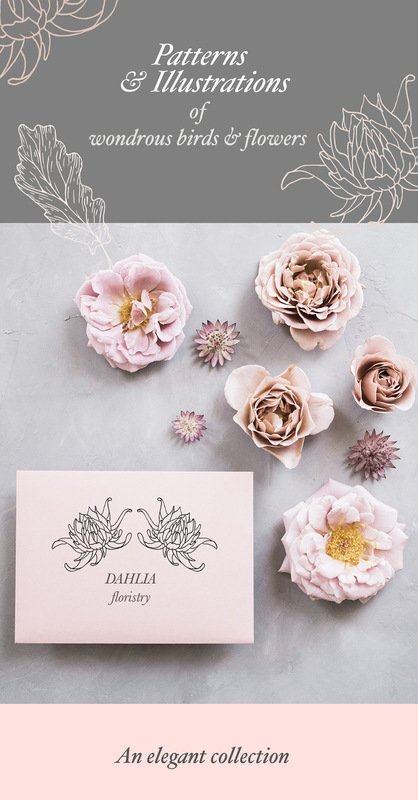 This set comes with more than 70 pre-made designs as shiny digital papers, all ready-to-use and super easy to handle without any special software required. To equip you with everything you need to make amazing designs in only minutes, the set also includes all separate elements, wreaths and illustrations. Simply put your quote or designs on top, arrange the elements on the digital papers and you‘ll receive professional, high-end artwork in minutes only! All quality vector illustrations and a total of 30 seamless vector patterns are included in this bundle. You‘ll have all the possibilities to individualize the designs, scale them to any size with no loss in quality and make your own creations by arranging them however you like. You‘ll be able to start creating right away and make amazing designs by combining all of these elements, mix & match the patterns and tell your story with the help of whimsical illustrations! File size is approx 1.23 GB (1.34 GB unzipped), offered as a single download. Oh no I am so sorry to hear that you are having difficulty downloading your Patterns! Annabel thanks so much for your understanding reply – I just replied to your email.